Alicia thrives on helping others persevere in their own unique way. With 15 years of professional dance training and a broad background in sports, Alicia loves movement in several forms. Having developed a fascination with strength training and bodybuilding herself, Alicia is enjoys coaching those who are interested in resistance training. Don’t let the small package fool you, in the weight room this girl packs a punch. Her training style begins with a look into developing functional movement patterns to ensure her clients have a solid foundation to build from. Alicia is also a part of our nutritional department so she’s a solid person to work with for anyone looking for nutritional guidance while they train. You’ll want to train with Alicia if you’re looking for a down-to-earth, no-nonsense trainer who has the patience and perseverance to help you attain your goals. The speaker in the video may have no association with ( Ms. Alicia Putinski, Personal Trainer, vancouver, BC ). ( Ms. Alicia Putinski, Personal Trainer ), may talk about some of the conditions and some of the treatment options shown in the videos on HealthChoicesFirst. Always talk with your health care practitioner about the information you learnt from the videos in regards to treatments and procedures the healthcare practitioner could perform and if they would be appropriate for you. Remember good information is the corner stone to understanding your condition or disease. Please contact ( Ms. Alicia Putinski, Personal Trainer, vancouver, BC ) to enquire if this health care provider is accepting new patients. If you have a Knee Injury from Osteoarthritis, you might have a health care team including a pain management specialist, rheumatologist and nutritionist. For strengthening exercises you could work with a local Personal Trainer in vancouver, BC, such as Ms. Alicia Putinski. A personal trainer is an excellent person to see when looking at Managing Lower Back Pain With Lifestyle Changes. 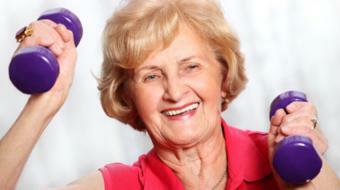 They can prescribe exercises that you can do at either the gym or the home and are a great first option. Consider seeing a local Personal Trainer in vancouver, BC, such as Ms. Alicia Putinski.